No-Repeat LSU Shirts, Day 15. 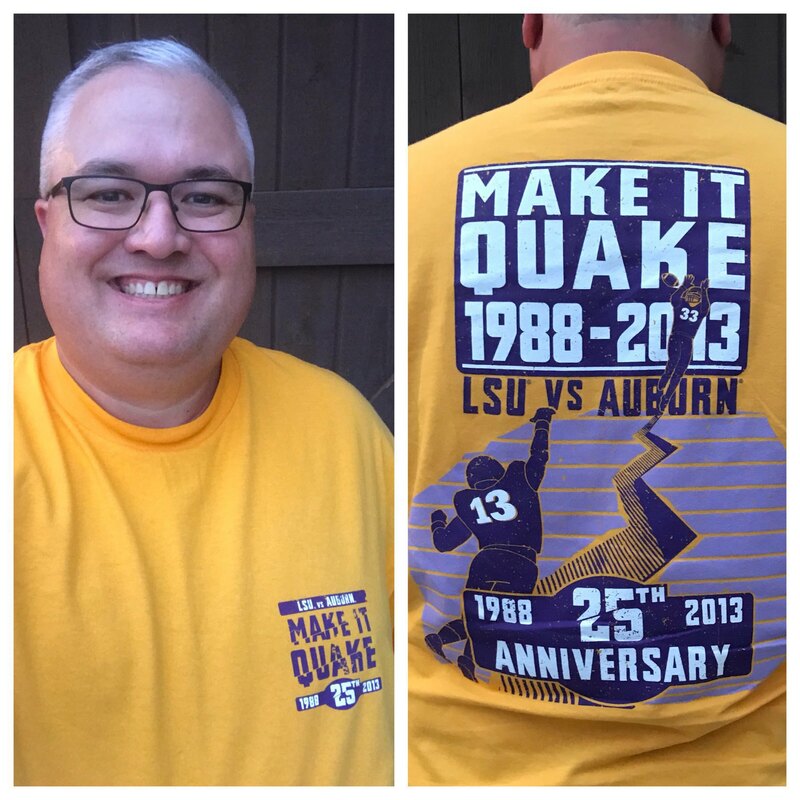 It’s LSU-Auburn week, so I rolled out the 25th Anniversary of the Earthquake Game shirt. I was there.